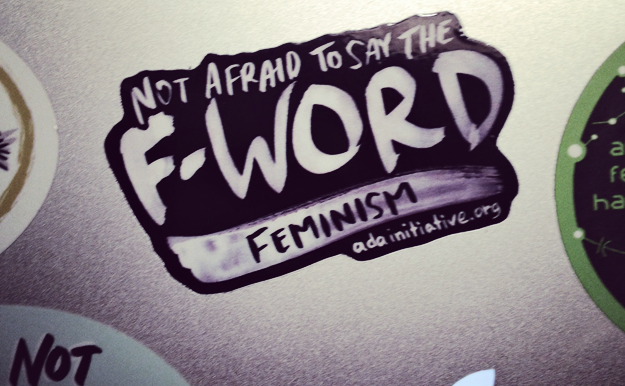 Are you not afraid to say the f-word, feminism? You may be the next ED of the Ada Initiative! Update: We have found our new executive director! Please join us in welcoming Crystal Huff. Valerie Aurora and Mary Gardiner founded the Ada Initiative in 2011 to increase the participation and status of women in open technology and culture. After decades of seeing volunteers burning out, they wanted to know: if we applied the feminist principle of paying people for their work to our activism, could we make more progress for women in open tech/culture? The answer: unequivocally yes! Since our founding, hundreds of open tech/culture conferences have adopted and enforced anti-harassment policies, many communities have adopted online codes of conduct, and the percentage of women attending or speaking at conferences has increased dramatically in several communities. When we reviewed our programs late this year, we realized that there was more demand for our work than we had the ability to supply. Each of our AdaCamp unconferences, held on three continents this year, sold out several weeks earlier than expected. Our Ally Skills Workshops are booked solid into 2015. And we can’t launch our standalone Impostor Syndrome Training soon enough for everyone emailing us about it! Fortunately, we also had a banner year for fundraising, raising $215,000 during our yearly fundraising drive and landing our first $100,000 donation. That’s why we’re announcing the search for our most important hire yet: a new Executive Director, who will lead the Ada Initiative as we grow to 5 – 15 staff members over the next few years. Our current Executive Director and co-founder, Valerie Aurora, will shift into a role as Director of Training, working full time on the Ally Skills Workshop and Impostor Syndrome Training programs. Our other two current staff members, co-founder and Deputy Executive Director Mary Gardiner, and Director of Operations Suki McCoy, are staying on as well. The new Executive Director will lead the overall organization: setting priorities, deciding which programs to run and where, and periodically re-examining our scope and mission. They will also lead our fundraising efforts and manage our staff members and consultants. This is a fulfilling, exciting, and challenging job. Successful candidates will need to be not only organized, financially savvy, and responsible, but also flexible, creative, funny, inspirational, supportive, and comfortable with uncertainty. In addition, the ability to handle conflict well is particularly important, as conflict is an inevitable part of successful activism. The full job description is here. Please share this job description far and wide! If you know someone that you think would be a good candidate, please forward this job description to them. If that isn’t appropriate, you can send your suggestion to jobs@adainitiative.org. This exciting success and growth over the last few years has been, and will continue to be, made possible by you: our donors. As a service-oriented non-profit, salaries are by far our biggest expense. While corporate sponsors and fees for our training workshops help cover some of our costs, donations from individuals are our largest source of funding. This allows us to stay independent and mission-focused. Thank you so much for your incredibly important support! This entry was posted in Ada Initiative news on December 17, 2014 by Ada Initiative.